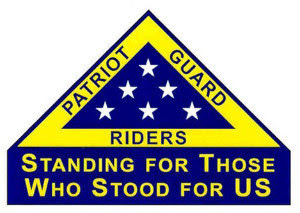 The family of Mr. John Putalavage, a US Air Force (Retired) Veteran, requests the presence and participation of the San Antonio Patriot Guard Riders at the services, LEO supported procession, and graveside rendering of military honors of their loved one. CMSgt John (Jack) R. Putalavage USAF (Retired) passed away on Sunday March 24, 2019 at his home in Schertz, TX at the age of 69. He was preceded in death by his parents John and Mary (Pavuk) Putalavage. He is survived by his loving wife Carolyn Putalavage; children Jenifer and her husband Scott Ross, John (JR) R. Putalavage Jr. and his wife Eryn, Jacob Putalavage, Jeremy Dibley and his wife Elizabeth, Erin Delarosa and her husband Ben. He is also survived by his loving grandchildren Adam, Emma, Delancey, Astor, Tilly, Anthony, Isabell, Sabrina, Thomas, and Carlton. Brothers: Michael Putalavage, Vince Putt and his wife Karen; along with brother and sister in-laws and many loving nephews, nieces, and many wonderful friends. Jack joined the US Air Force in December of 1968. He had many duty stations to include Vietnam, Germany, and multiple stateside assignments and has been all over the world during his service in the USAF. He supported the Vietnam War and Operation Desert Shield/Storm/Calm. Among his numerous awards are Meritorious Service Medal with two oak leaf clusters, Air Force Commendation medal with two oak leaf clusters, among many other medals and awards for campaigns and unit awards. Following his retirement in December 1994, he moved to San Antonio, TX where he started work with Scion Lighting Corporation and the US Postal Service until he fully retired in 2011. Jack was extremely loyal, loving, kind, and generous. He never met a stranger and enjoyed socializing and keeping in touch with everyone he met through the years. He will be dearly missed.